Searching, recruiting and selecting good employees can help grow your business by fostering an amazing work culture. However, bad employees can create a negative work atmosphere and ruin your overall brand image. That's why searching and investing in good employees is crucial to attaining a long-term business success. Furthermore, before hiring and availing benefits from great employees, you should follow a streamlined recruiting & select system. Establish a Robust Brand Image & Promote It:- Build a robust brand image that automatically attracts candidates towards your organization. While promoting your brand, make sure to advertise it on different social media channels, like Linkedin, Facebook, Twitter, etc. It will help you to reach out to your potential audience, for example, the candidates available across multiple social media channels. Apart from promoting your brand, it is also necessary to know how to market your brand while speaking with a candidate. 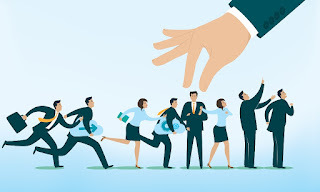 Build a Personal Connection:- Most of the candidates prefer to choose an employer based on the employees as much as the company itself. Hence, to sell the candidate on the company it is crucial to selling him to the employees of the company. To proceed with it, building a personal connection is important. In other words, the more comfortable your candidate is with you, the better you understand and identify their background and skill set. So encourage your candidates to open up by first opening up to them, being authentic and friendly. 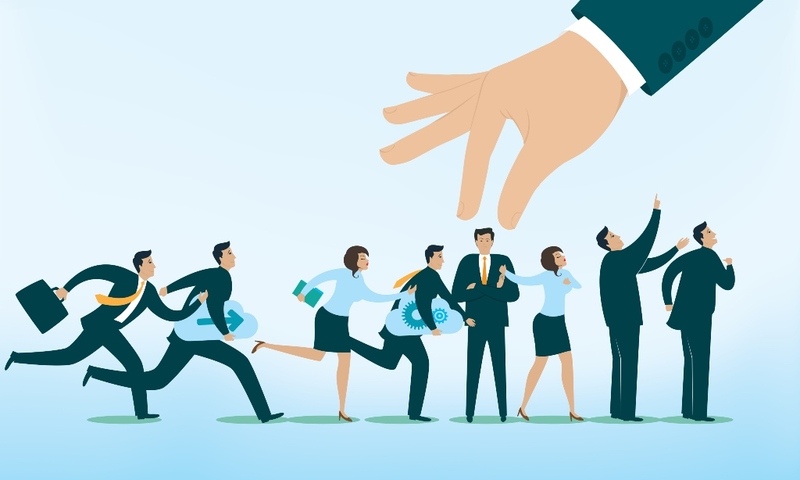 Be Strategic with Your Candidates Filtering:- If you're having a plethora of candidates who come under different categories like non-qualified, uninterested, or a poor match, then such candidacy will only lead to a waste of time. So, it's essential for you to be strategic with your candidates' filtering and you can leverage the advantages of several online tools to perform so. Always Keep a Talent Pool of Candidates:- Likewise a database of candidates, always keep a talent pool that covers all the existing candidates you're presently taking to, as well as the candidates you've previously talked to in the past and willing to talk to in the future. Go Mobile:- Be present on your mobile because you never know where you'll be when a good fit comes your way. Keep your candidates' information & profiles always handy on your mobile device so as to quickly access it whenever you need. 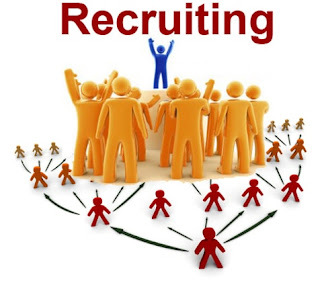 Referral Program:- This is one of the most effective recruitment techniques for recruiting new employees. According to an employment & recruitment agency in Denver, no one knows your company better than your employees, and they can easily refer someone who can be a good match for your company. So run some referral programs or get a deep insight into your existing employees' connection to find new candidates. Attract Potential Candidates towards Your Web page:- You can drive potential candidates towards your webpage by utilizing some effective inbound marketing techniques; displaying ads or search ads, utilizing inbound marketing content, etc. Clearly Elaborate Your Demand For The Best:- If you need the best, then clearly elaborate your demand for the best. For example, if you hire only great employees, it will leave a positive impression on other great employees who're looking for an employer like you, and they will surely take a huge interest in your company. Follow a Targeted Search:- A non-targeted and unfiltered search will only result in irrelevant or unsuitable candidates. Thus, always follow a targeted search approach & filtering process to find out relevant candidates. Direct Communication with a Good Fit:- Don't hesitate to directly reach out to someone who might be a good fit for your company. You can send a direct message, email, or even call such candidate to grab his/her attention towards your company. No other recruitment and executive search technique can replace direct communication strategy. With these afore-mentioned 10 innovative recruitment techniques, you can easily find some good fits for your company who can help you grow your business. Moreover, if you're still unsure how to follow these recruitment strategies, you can leave everything in the very professional hands of Movanti – one of the leading recruitment agencies in Denver. 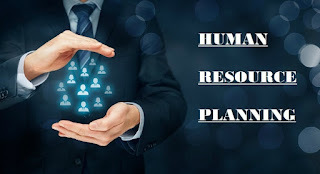 How Strategic Human Resource Planning is Essential for Business Growth? Read here.. The ruthless competitive business industry of the modern world demands human resource professionals to go beyond their traditional routine duties. Earlier, they were just focused on hiring new employees, keeping track of individual performance and maintain data related to an organization. In addition to completing these traditional tasks, they now also engage in multiple organizational functions and work on numerous human resource management strategies to ensure overall growth of an organization. A forever growing business constantly needs to hire people. While the entire process is supposed to work in the favor of both the company and the employee, sometimes we accidentally hire candidates which aren’t right for our business. The reason can span from a person not able to cope with the dynamic job profile due to his own shortcomings to your own mistake of not describing the job profile well or hiring a person with the wrong set of skills. A lot of times a company is unable to get in the right candidate due to its inability to find the right one and thus has to deal with the short staff for a long time.